Our Team – bhasin consulting inc.bhasin consulting inc.
Ritu Bhasin, LL.B. MBA, is the President of bci. Recognized globally for her diversity and leadership expertise, Ritu has received a number of awards and distinctions for her work. She has extensive experience in delivering programming, consulting, and coaching across a range of people management areas with a focus on leadership development, diversity and inclusion, and the advancement of women. Allen Hirsh, CMC. is a consultant, facilitator, and coach who has worked with dozens of global organizations in a range of talent management and leadership areas across senior, middle management, and emerging leader groups. With 35 years of experience as an organizational and leadership consultant, Allen wears a variety of hats: strategist, facilitator, organization designer, coach, team builder, and educator. Brigid Dineen is a facilitator, certified life coach, and yoga instructor in a range of mindfulness, resilience, and wellness areas. Brigid has over 10 years of experience in facilitation and coaching, specializing in the following areas: emotional intelligence; resilience; behavioural change; stress management; mindfulness and meditation; goals-based coaching; and mind-body wellness / mind-body connection. Joanna Kirke, MBA, is a coach, facilitator, and consultant and has over 20 years of talent management, leadership consulting, and executive coaching experience. Joanna is experienced in developing and delivering high impact workshops and coaching programming for a range of sectors – including financial services, law firms, telecommunications, mining, and oil and gas, and education. Alyse Runyan is bci’s Client Relations Associate. In this capacity, Alyse manages client relationships and speaking engagements, and oversees special projects. Angelina Kwok is the Communications and Digital Marketing Manager with bci, a role that encompasses all marketing and communications activities of the firm. 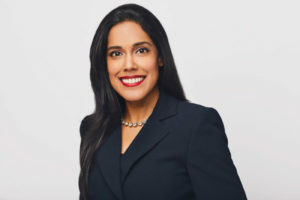 In her role as Executive Assistant, Natasha Patel provides high-level administrative support to the President of bhasin consulting inc.
Cole manages all office procedures, logistics and administration at bhasin consulting inc.